Introducing Reaction Buttons, by ShareThis! 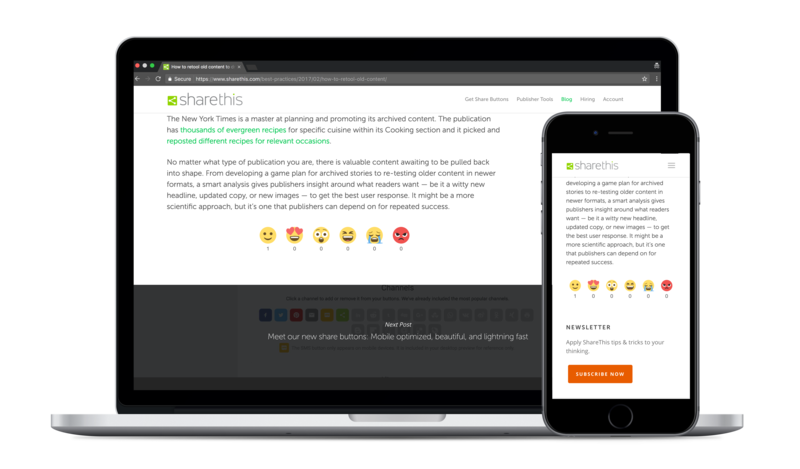 Reaction buttons give your visitors a fun, quick way to interact with your content. Best of all, they look great on every device and are simple to configure and install. With just a few simple clicks, you can install reaction buttons on your site today. Open source just tastes better. Our beautiful reaction emoji’s have been hand crafted with love by EmojiOne.